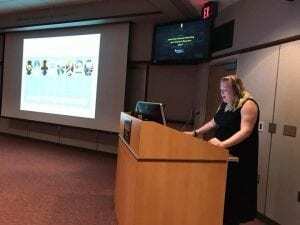 Caren Shank returned to Iowa this past June to join with her husband’s ophthalmologists and give a presentation about Hermansky-Pudlak Syndrome at the 2018 Iowa Eye Annual Meeting. 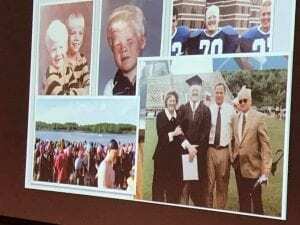 The presentation was called “The Importance of Gene Testing in Albinism – It Is Not Just Academic.” Caren and her husband Steve relocated to Minnesota two years ago after Steve was diagnosed with HPS. He received a double lung transplant at the Mayo Clinic soon thereafter. Caren presented with Dr. Arlene Drack and Dr. Mark Wilkinson. She shared Steve’s story and why it was so vital to know the specific type of albinism Steve had. Dr. Drack will be at the 2019 HPS Network Conference. We are thrilled to have these allies helping to advocate for HPS screening. Missed the conference survey? Here’s your chance to help make the conference even better!